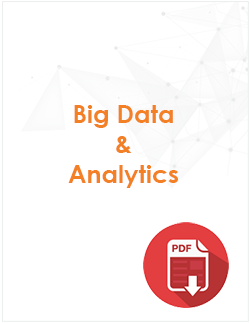 Motivity Labs encompasses a versatile portfolio of Big data and analytic solutions; our primary focus has always been fuelling cognitive business of our clients by delivering innovative analytics solutions. For your organization, our solutions thrive on providing answers to the toughest business questions, pursue breakthrough ideas and uncover new patterns. There is a wealth of data residing inside and outside every Enterprise. Businesses must have the proper tools to organize, analyze and query this data in order to uncover actionable insights that improve business planning and decision making. From Insight to Impact, Motivity Labs is your data innovation partner. 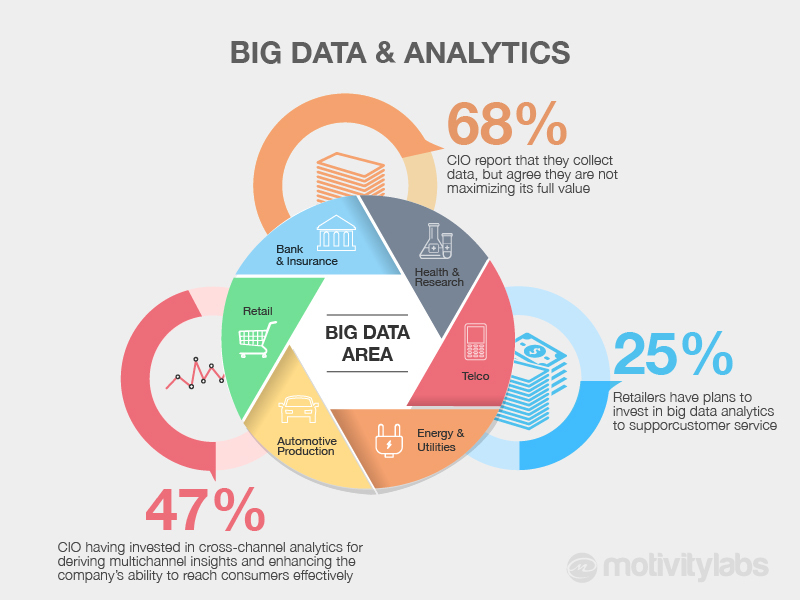 Motivity Labs thrives on delivering Big data analytic tools, so that can take on an enterprise’s data challenge directly. Futuristic analytics services, designed by Motivity Labs, aim at providing our industry-wide clients with access to real-time predictions, information, and trends. World-class workforce at Motivity Labs provides a unique ability to our clients to access data anytime, anywhere, and run real-time streaming analytics to transform data insight into impact. Helping businesses to organize data, had been our key expertise right from inception. Allowing our customers to use innovative tools, we help them in organizing and analyzing data which help in improved decision making. Architect, implement and maintain Data Warehouse / Business Intelligence / Big Data Analytics solutions. Setup Analytics CoE supporting enterprise needs on an on-going basis. Implement packaged Analytics solutions or build custom solutions for clients. Implement integrated dashboards for getting a holistic measurement of corporate, operational, and customer centric KPIs. Implement solutions for Master Data Management, Metadata repository, and Data Quality.